In the global video game industry, the United States dominates in terms of money. The video game industry generated approximately $50 billion in 2012 and last year, $18 billion of that came from the United States. The US’ dominance, however, won’t last forever as more and more countries begin to spend more time and money on video games. China is growing at an exponential pace. Something that has kept the US gaming industry generating more revenue than China is the console industry. Video game consoles like the Xbox 360 and PlayStation 3, as well as the retail games they play, generate huge sales revenue every year, but consoles are banned in China and have been since 2000. That’s about to change, though. Game consoles were banned in China on the grounds that they corrupted young people. Within five years of the ban though, the online gaming boom swept through China, making MMOs like World of Warcraft huge business. Video game companies like Tencent have helped to expand China’s online gaming base, and online games currently make up nearly 90-percent of all gaming revenue in China. 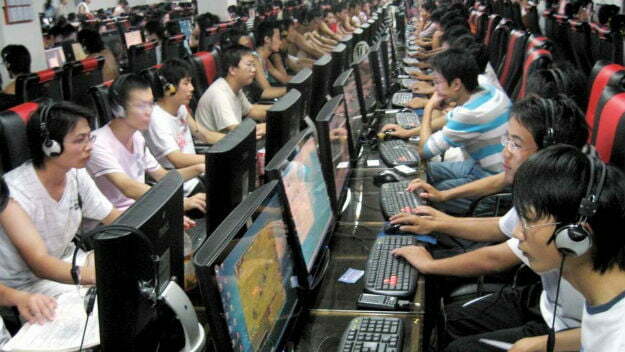 The entire Chinese gaming industry generated nearly $10 billion in 2012. Wallerstein’s estimate actually ended up being about a billion dollars low, and the trend is expected to continue. By 2017, the Chinese gaming market is expected to reach $21.7 billion by 2017.
Who will tackle the Chinese game console market first? Sony may try its hand again. In November the Japanese manufacturer was granted a “China Cumpulsory Certificate” that is valid through 2016, a necessary certification for imported products like the PlayStation 3. With the next generation of consoles on the way though, manufacturers like Sony, as well as Nintendo and Microsoft, are likely lobbying for permission to sell their consoles in the People’s Republic. OF course, if the ban is completely lifted, that could also clear the way for another console manufactured by one of the many Chinese gaming companies operating in China.